A White Rodgers thermostat is a handy tool to have in the summer and winter when you find yourself facing the task of keeping your home comfortable and your energy bill reasonable. One of the most trusted thermostat brands in the United States, White Rodgers programmable thermostat units allow you to set a customized heating and cooling schedule for your home in advance, based on your weekly schedule. 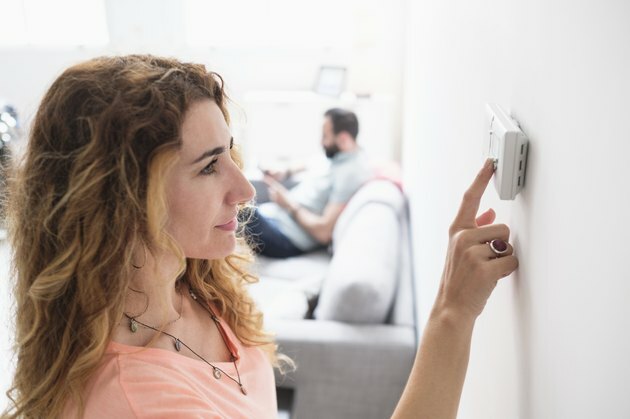 By taking advantage of this feature, you can ensure that your home is comfortable when you'll be inside it rather than having to come home to an environment that is too hot, too cold or wastefully maintained while your home is empty. The White Rodgers line includes basic and digital thermostat models, both of which are incredibly simple to program. As a brand of programmable Emerson thermostat, White Rodgers thermostats feature simple interfaces and are designed with energy saving in mind. 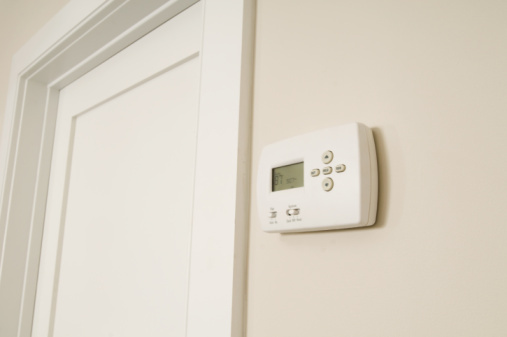 Each thermostat in the line can be set to heating and cooling modes and can be switched between automated and manual operation modes, but their most desirable feature is their ability to set customized temperature schedules. Basic models in the line feature a standard physical button layout with a small monitor, while digital thermostats in the line have touch screen displays of varying quality. White Rodgers digital thermostats have moderately sized touch screen displays and offer more control over your heating schedule than their simpler sibling models. To program yours, begin by pressing the "Menu" button followed by "Set Schedule." This will open the scheduling menu. Your thermostat's schedule starts on Monday and will allow you to set a temperature for four time periods over the course of the day. Begin by using the arrows to set your chosen time and temperature for the first period, then press "Set Schedule" to proceed. Press the "Advance Day" button to program the next day in the same manner. Alternatively, you can use the "Copy" button to copy your schedule to either a single day or every day of the week, pressing the "Advance Day" button to select an option and pressing "Copy" to set the schedule to other days. Press "Run Schedule" when you've finished setting everything. While basic White Rodgers thermostats lack the advanced displays of their siblings, they are programmed in an incredibly similar way. To begin, toggle the switch to the right of the thermostat to set the system to "Cool" or "Heat" and then press "PRGM" to enter the program menu. As with the digital thermostats in the line, the schedule starts on Monday and allows for the scheduling of four time periods, set to your chosen time and temperature. Select the desired temperature with the up and down arrows, pressing "Time" to set the time for which you want that temperature keyed. Press "PRGM" when you are ready to proceed to the next day, and set it up as desired. When you are done, press "Run" and your schedule will begin.